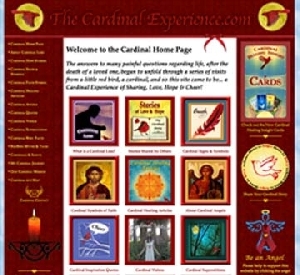 The Cardinal Experience.com is dedicated to all who have suffered the loss of a loved one and asked for a sign of hope from above. The cardinal project was inspired by a sign of hope, which came literally in the form of a little red bird, from above. Cardinals have a long symbolic history of visiting those who are saddened by loss, in particular, a cardinal loss. 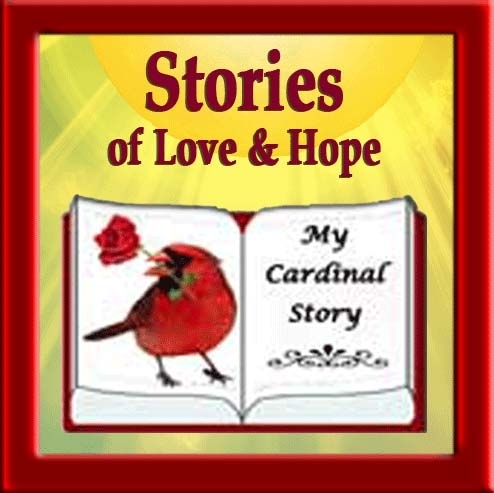 Through a series of visits from a small red cardinal, the answers to many painful questions about living life, after death began to unfold and so this site came to be, a sharing experience of Love, Hope & Cardinal Cheer!